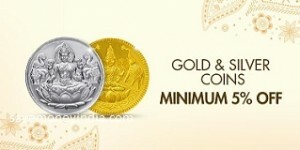 On gold & silver coins only 2 offer applicable 10% cashback upto 1000 & 10% again upto 500 only please correct. bought 2g 22k for Rs. 5350.